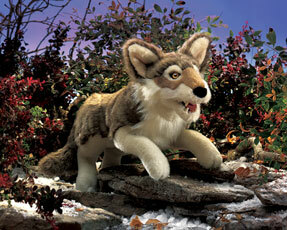 Folkmanis 2898 – Featuring feathery plush & a gentle, movable mouth, this realistic Timber Wolf puppet is anything but ferocious: it's hungry for love! Movable mouth. Measures 22” x 8” x 11”.